On the 20th January 2014 I am sitting the Cisco CCNP Switch Exam. 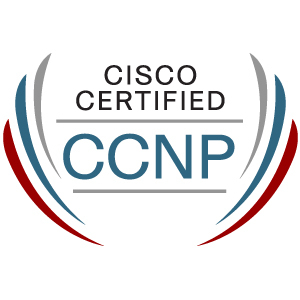 For me this is the first of the 3 CCNP exams. At the moment I’m pretty stressed out about this. I spent a large chuck of last year trying to study for this exam off and on, so I think I should be okay for it. For me, it’s a case of trying to remember all the stuff I’ve learnt at various points. If I don’t use something, I forget it, as do I imagine most people. I work for Allied Telesis, which is probably considered a small to medium competitor to Cisco. The Allied Telesis switch operating system, AW+, is a very similar CLI to IOS (read industry standard CLI), which is a fantastic operating system, but I find it a double edge sword in terms of the Cisco exams. It’s great in terms of the fact that I was able to come from all the Cisco NetaCad courses and know how to use the Allied Telesis gear, but there are enough small differences that I’ll need to do a bit of labbing before my switch exam. Along with practicing all the Cisco proprietary features again (PVRST+, HSRP, VTP, DTP etc). So what should you expect to see on my blog for the next couple of weeks? 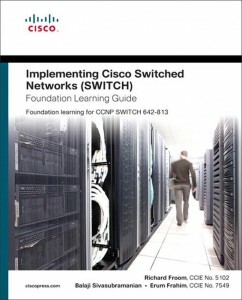 I’m currently going through the “Implementing Cisco IP Switched Networks (SWITCH) Foundation Learning Guide” again as a refresher for the exam. Each day I’m hopefully going to post my notes from the book, along with a quick review of each chapter. So what other material are you using for studying? I’m lucky in the fact that work has a license for CBT Nuggets. I’ve read this before when I sat my NetaCad Switch exam. I intend on reading this a day or two before the exam as a final refresher. I intend on spending a day going through all the labs. I’ve got 2x 3750 along with 2x 3550 to study with for the exam. Looks like it could be a good refresher in terms of Labs for the exam. From what I’ve initially looked at, this book is great. It avoids the waffle Cisco Press books have, and explains things in the simplest form possible. I’m not sure how much of this book I’ll get the chance to read, but had I had more time before my exam, I would have quite liked to read this whole book. Any other decent quick material I can get. I think at this point I need to find good labs I can practise. So how do you intend on studying for this? How much study have you done so far? 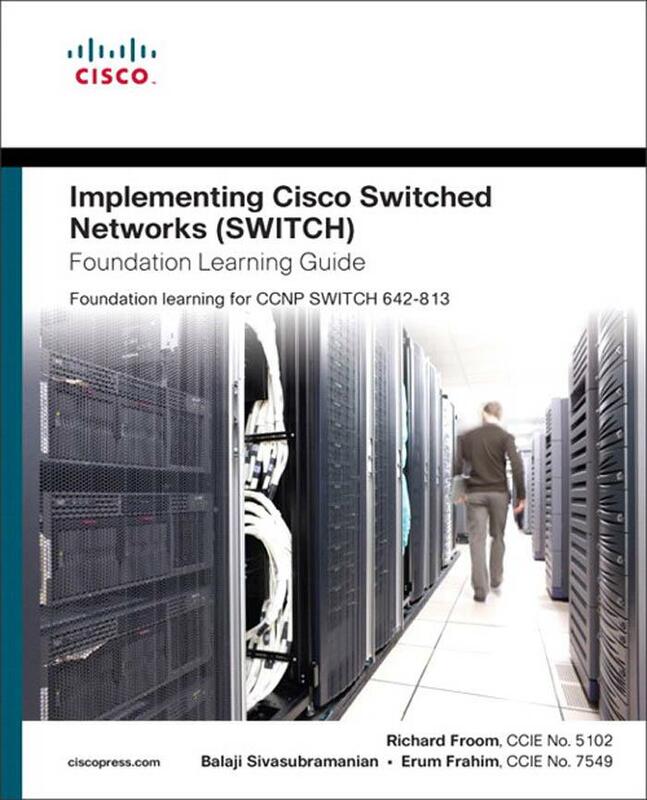 2 years ago I did the Cisco CCNP Switch Netacad course and read the Foundation learning guide which I’m going to be blogging about. Last year I read the Official Cert Guide, purely because it was new material. I decided to reread the Foundation Learning Guide purely because it covers more topics that are in the exam. That and the fact that it is a Cisco Press book, so it should have what’s covered in the exam. In terms of study so far? I actually only started studying 4 days ago. Other than that I hadn’t done any study for this exam for about 3 months. I could be crazy. I hope not. I really struggle to find time to study for this, as I’m generally doing routing at work, and find it hard to focus on two major topics at the same time. I’ve just had a week off work, and will have the week before the exam off work also. I’m hoping although this is a concentrated amount of time to study for an exam like this, that along with my previous knowledge, I’ll be able to cram enough for the exam. What study have I done this week? I’ve read the first 3 chapters of the Foundation Learning Guide. My blog posts above will be my notes on the first 3 chapters. My goal is roughly 50 pages of the book a day, along with some CBT Nugget watching. I should finish all this a few days before the exam, in which I’ll do some labbing for a few days, and final review of material along with reading the Quick Reference Guide.